Defining your target audience is key to delivering your message effectively. If you hope to reach children, you will use messages and graphics that makes sense to children. However, if you are trying to reach high income earners, your tactics must be more refined. 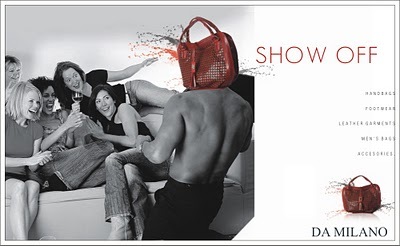 Both of the following ads are attempting to market their leather handbags to high-end consumers. The first one uses a bizarre image of a youthful group and the cheeky headline, "Show Off". The second ad, by Ogilvy & Mather, uses a sophisticated, classic image of the highly recognizable Sally Ride, Buzz Aldrin and Jim Lovell. Which do you think is more likely to hit it's target? Newer PostColor Psychology: What does red say?